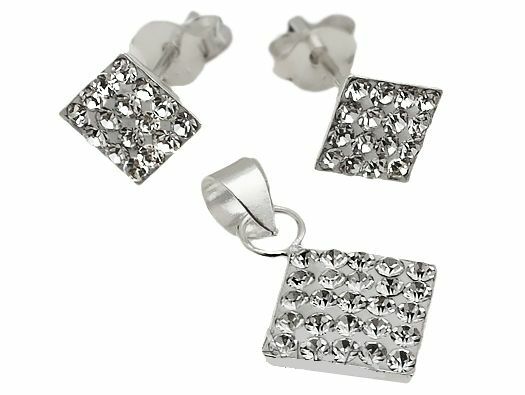 This vivid earrings and pendent set features a clear white crystals. This set is made of .925 sterling silver. This set has a lot of attention which makes this piece fit for royalty.